There’s a very young seal pup that is currently swimming around the 4700-4800 block of Beach Drive. Right now you can hear the youngster calling for (I imagine) their mother. Earlier this morning the youngster was beached on the shores when the tide was down. Seal Sitters did photo graph and document the pup and remind everyone to leave this cute pup alone and contact Seal Sitters should he/she wind up on the beach again. 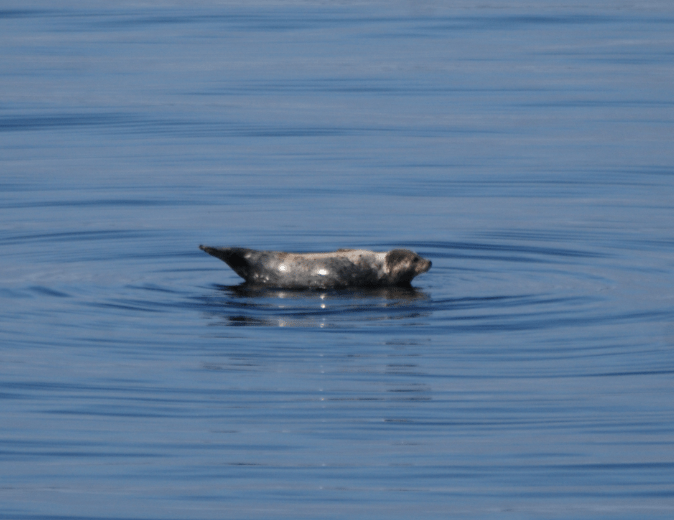 This seal seemed to be posing for pictures yesterday while sunning himself off of the shores of Beach Drive by Emma Schmitz View Point. 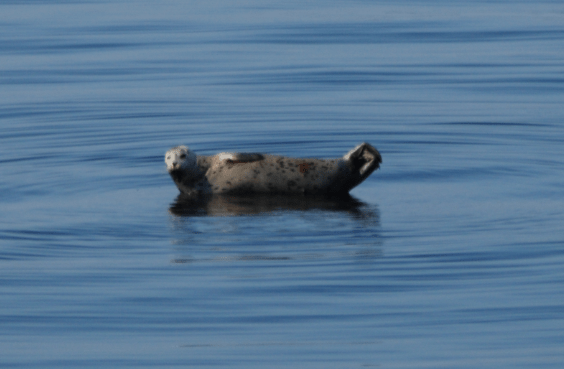 At first glance, we didn’t realize this was a sea lion (or seal?) floating by. Hoping this fella is feeling well and just enjoying the last evening of Spring. We caught these photos just in front of Emma Schmitz Memorial View Point.